You are probably looking for some cheap MTN data (browsing) plans you can subscribe for. Here is a detailed list of MTN data plans for 2017 and their activation codes. It is necessary that you go through the whole list and choose the one you like. Some of the plans are met for all devices while some of the internet bundles are for specific Phones and apps. For example MTN internet bundle for Blackberry is for only Blackberry users. And MTN data plan for Whatsapp can only be used for Whatsapp chatting. Below is a list of MTN daily data plans and Subscription codes. The plan works on all devices, although, it may not be good for phones that consume a lot of data like Android phones. 30mb for 100 naira: Valid for 24 hours. Dial *104# or text 104 to 131 to activate. Please don’t opt in for this plan if you are using Android phone, cus, a simple click on Google would consume the whole data. This MTN Data plan lasts for 7 days. It can be used on any device. Below is the activation/ subscription code. 750mb for 500 naira: Valid for 7 days. Dial *103# or text 103 to 131 to activate. The price is cheap compared to other networks. Do you need cheap MTN data plan that will last for a month? These are the codes to activate some of the plans. If you are an android or pc user, then this plan is for you. Please note that this plan can be used on any device. I recommended android/ pc users because they consume a hell of browsing data. 1.5GB for 1,000 naira: Valid for 30 days. Dial *106# or text 106 to 131 to activate. I have personally used this plan and it works fine. The browsing speed is also worthy to note. 3.5GB for 2,000 naira: Valid for 30 days, get 3.5 gb of MTN data for 2,000 naira. Dial *110# or text 110 to 131 to activate. 10GB for 5,000 naira: Valid for 30 days, get 10 gb of MTN data for 5,000 naira. Dial *116# to activate. 22GB for 10,000 naira: Valid for 30 days, get 22gb of MTN data for 10,000 naira. Dial *117# to subscribe. This plan lasts for 90 days. Get 85GB for 50,000 naira. Text “133” to 131 to subscribe . This MTN data plan is strictly for social media usage, It cannot be used for heavy internet browser. It is basically used on social media platforms e.g Facebook, Twitter, Whatsapp to connect with friends and loved ones. Below are MTN data plans for social media. This plan is for Facebook users. The data can only be used on Facebook. Below are the plans and subscription codes. This plan is for twitter. The data can be used only on Twitter. Below are the plans and subscription codes. Twitter Monthly For 60 naira: Do you want to enjoy free access to Twitter for one month? Text TWTW to 131. This plan is for Eskimi users. The data can be used to access only Eskimi app. Here are the plans and subscription codes. This MTN data (browsing) plan is strictly for Blackberry (BB) users. Don’t subscribe for it if you are not using Blackberry phone, cus, it will not work. 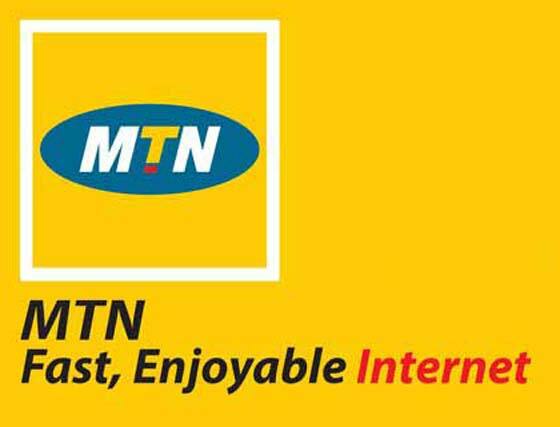 The most used MTN data plans: Below are the most subscribed MTN data plans and how to activate them. There are two(2) daily data plans on MTN Nigeria – the 30 MB and the 100 MB plan. All data will expire within 24 hours or else you activate auto renewal. For MTN 30MB data plan, you will be required to recharge N100, when you are done, Text”104″ to 131 to activate the service. Validity period is for 24hrs. For 100MB Data, you will be required to recharge N200, when you are done, Text”113″ to 131 to activate the service. Validity period is for 24hrs. There’s just one weekly MTN data plan. The weekly plans of MTN give you 750 MB at 500 naira . Text”103″ to 131 to activate the service. Validity period is for 7 days. To Check your MTN Data Balance, simply text 2 to 131. I Hope that this article helped! MTN has given us a range of choices. It is now left for you to choose the MTN data plan you like and enjoy for yourself.